Hey guys, do you want to know what’s the big news about smok vape company? Let me tell you that they released the two new vape kits recently-the Mag Grip Kit & R-Kiss kit. That’s a exciting news! Smok released SMOK Mag Grip Kit is a new style looks like a “Gun” and from a first glance, it appears to be a Mag and H-Priv 2 mashup! The Screen is mounted on the top next to the 510 connector – hence why it also reminds me of an H-Priv too. You can use the Grip with a single 18650 battery and it will output up to 85W. BUT you can also use a single 20700 or 21700 battery and the output will go up to 100W! The kit includes the new TFV8 Baby V2 more difficult naming conventions! Plus this tank looks so weird like it has been squashed and is bulging in a middle way more than a normal bubble glass would. There are 2 new coils for this kit the Baby V2 S1 (single mesh coil 40-80W 0.15ohm) and the Baby V2 S2 which is a standard dual coil (0.15ohm 30-70W. There are 4 colors to choose from – Black/Red, Prism Chrome/Black, Red/Black, and Prism Blue/Black. The Smok R-Kiss kit on first impressions makes me think this is the sort of kit that Smok does well. For a start, the name “R-Kiss” comes from the acronym “Keep It Simple Stupid” and this is the core of the mod design. There is only a Variable Wattage power mode and a newly designed user interface which has also been simplified. The mod is apparently the smallest 2×18650 battery mod and will output up to 200W. In the kit, you get the TFV-Mini V2 tank. The coils come in Single (A1), Dual (A2) and Triple (A3) mesh versions. There are 5 colors to choose from – Black/Red, Red/Black, Silver/Black, Gold/Black, and Navy Blue/Prism Chrome. 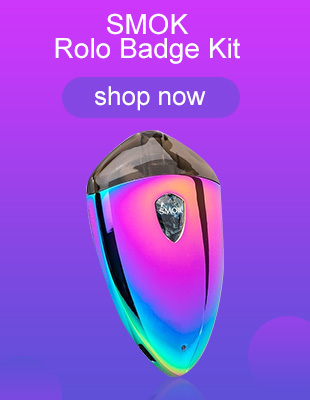 Where to buy the two SMOK new kits? Just go to cheap vape store to pre-order! Previous Previous post: Find Best BOX Mods For Phobia v2 rda, Drag Mini or Reuleaux RX300? Next Next post: Eleaf iStick Nowos Kit VS Wismec Active Kit, Which Will Be More Popular?